Add large gooseneck fixtures to sign lighting design with the stylish 16in. Warehouse Shade. Featuring all-aluminum parts, this combination of a rustic warehouse shade and arching gooseneck arm is the quintessential exterior light. Goosenecks enhance architecture during the day while lighting signs and awnings at night. 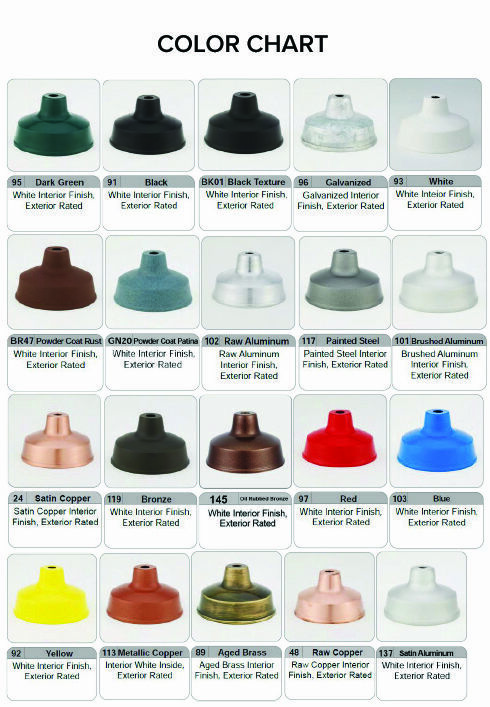 And rust resistant powder coated finishes come in 25 brilliant shades for easy matching; see drop-down menus for pricing. Custom gooseneck arms can also be created upon request. To order custom commercial lights and accessories, please call toll free for a price quote.